We’ve been slowly releasing information regarding our upcoming Subaru Flex Fuel release. If you haven’t seen our Subaru Flex Fuel and Subaru Flex Fuel Updates articles, feel free to get caught up before diving in here. With the release of our Subaru Flex Fuel features just around the corner, we thought it would be wise to start informing you, the customers, on the components and packages we will be offering. We will also break down some R&D Efforts that are being put into a hopeful Off The Shelf map solution as well as a change in fuel pump offering. Buckle up, we have a ton of new parts and packages here. Our goal with all of these is to make adopting COBB Flex Fuel straight forward no matter what configuration your vehicle is already in. Just need the sensor kit so your Protuner can create a custom tune? Have a completely stock STI and want to go straight to Stage 3 + Flex Fuel? We have it all covered! You probably noticed that we have swapped out our COBB High Flow Fuel Pump for an AEM In Tank Pump in the Power Package options above. The reason for that is simple – peace of mind. While the COBB pump performs just fine in most cases, we do grow closer to the limits of its capabilities when tuning on high ethanol content. This became evident when temperatures plummeted this winter and demand on the pump was at its highest. The AEM option will give customers a bit more fuel overhead. If purchased directly from COBB it will be packaged with a COBB fuel sock, making it a true direct replacement of the OEM pump and sock. Upon initial release, Subaru Flex Fuel will be available only via COBB Protuners. Our current goal is to eventually offer an Off The Shelf map to match our Stage 3 + Flex Fuel Power Package for the 2008-2016 STI. These maps are currently in development and so far testing is going very well. We have a number of vehicles in the Stage 3 + Flex Fuel configuration being tested as you read this. We even drove our 2015 STI from Colorado to Texas recently (seen above), testing the Flex Fuel software and firmware! As we grow nearer to completion of those maps, we will be able to share more details. Just wanted to pester again. What’s the word on 2007 Legacy GT Support? Sitting by with money…..
We’re listening, I promise! The Legacy GT support requests are piling up. Have the requests for Flex Fuel on the 4th Gen (2007 specifically ) piled up enough to add weight to the decision to add support? Requests have indeed been pouring in, definitely enough to spark some internal conversations. However, we have not yet reached a final decision. i already have an upgraded fuel pump. will you guys offer a flex fuel package with just the 1000cc injectors? We do not currently have plans to offer that package, but if the demand is there we can certainly look into it. In the meantime, feel free to give us a call and we may be able to offer a one-time package deal. Will we need the fuel pressure regulator kit for the sti? What are the specs on the aem fuel pump you are offering? The Fuel Pressure Regulator Kit will be a requirement for any OTS solution. The pump is AEM’s 320lph E85-Compatible High Flow In-Tank Fuel Pump (65mm with hooks, Offset Inlet). We’ll have the details up tomorrow, in the meantime you can reference their web page HERE. Hey Jeff, we do not currently have plans to offer a Flex Fuel solution for the 09-13 Forester. It’s something we can definitely look into in the future, but it would come after DIT WRX and GD WRX/STi support. Where is the 02-07 wrx/fozzy/STi support? When are they coming? Hey Steve, the pre-2008 cars are due to get Flex Fuel support after work is done on DIT WRX Flex Fuel. That said, not all vehicles will receive support immediately. GD STi and 2006-2007 WRX are on the agenda, other vehicles may be investigated in the future. Will there be packages for 02-07 WRX and 04-07 Sti in the future? We are planning to offer GD STi Flex Fuel support as well. Our current release schedule puts it right behind 2015-2016 WRX Flex Fuel. Will you eventually offer this for 2004-2007 Subaru WRX STI’s? I would buy this the first day if it came with an OTS map just because the closest pro tuner is very far. Do u have an estimate of when the release of a map would be? Hey Riley, we’re definitely making some great progress towards an OTS Flex Fuel solution. With that said, I don’t believe we’re quite comfortable with setting a release date for them quite yet. As long as we do not encounter any late road-blocks I would expect to see something in the next few weeks. Really interested in a kit for the 4th gen Legacy GT! Including top feed injector conversion for the early 4th gens would be appreciated too! Out of curiosity, why does the sti need a Fuel Pressure Regulator and the wrx does not? 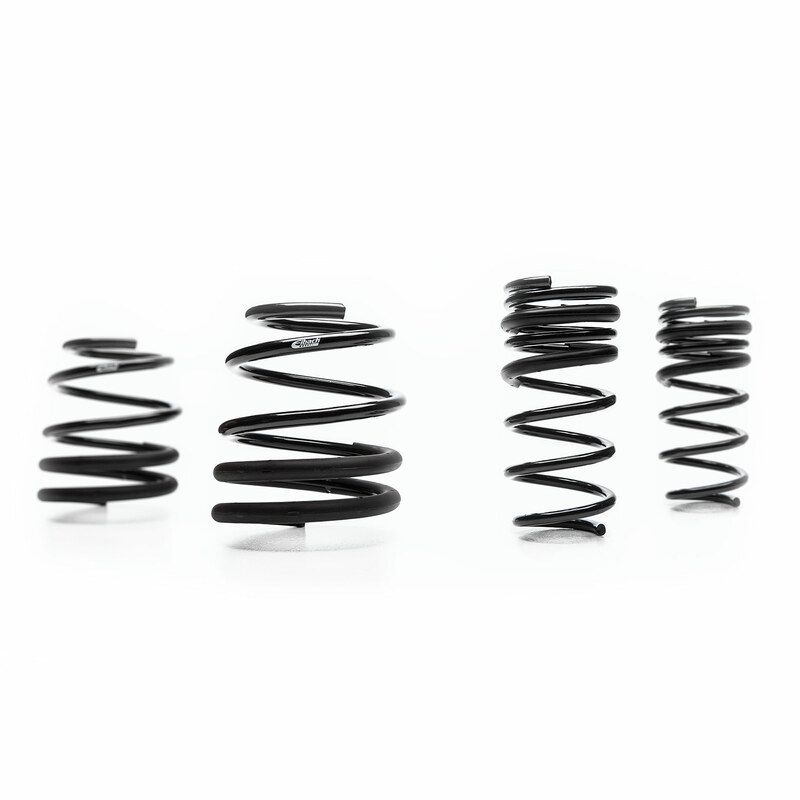 Hey Mark, we typically only see the severe fuel pulsations on the STI with upgraded injectors. The WRX has a different fuel pressure regulator setup from the factory that does not contribute to those pulsations with upgraded fuel injectors. Hello, what’s the anticipated release of the OTS flex fuel maps? The main appeal for the OTS maps to me is the ability to install parts yourself, flash to the OTS map, then drive to a pro tuner. Hey Mark, we’re definitely making some great progress towards an OTS Flex Fuel solution. With that said, I don’t believe we’re quite comfortable with setting a release date for them quite yet. As long as we do not encounter any late road-blocks I would expect to see something in the next few weeks. Is there a 2015 WRX flex fuel pakages in the works? There is! We’re working on Flex Fuel hardware and software for the 2015 WRX as well. Hey Anthony! We’re actually working Stage 3 + Flex Fuel maps for the 2015 STI right now. We are hoping to have something available by early February. Once closer to release we will have accurate power output. One more eager Legacy customer! 07 spec.B to be specific. I’m a little surprised it isn’t already included under the 08 WRX compatibility. Any reason for this? Noted! While hard parts may be very similar, there is quite a bit of work that has to be done on the ECU side. Unfortunately, each year/model Subaru has a slightly different ECU setup. Will there be any OTS for the 08-14 WRX with varying options? I have the SF intake and catback exhaust. Seems like only the Stage 3 STI will have OTS maps. Our initial focus is on the 2008+ STI. If the demand for WRX OTS maps is present, we can certainly look into it! Does the flex fuel setup work in conjunction with speed density protunes? Just would need the tunes for e85 only and 93 only ? Or would need to stay with a maf? Also does the flex fuel system work with the access port v2 or will need to upgrade to v3? 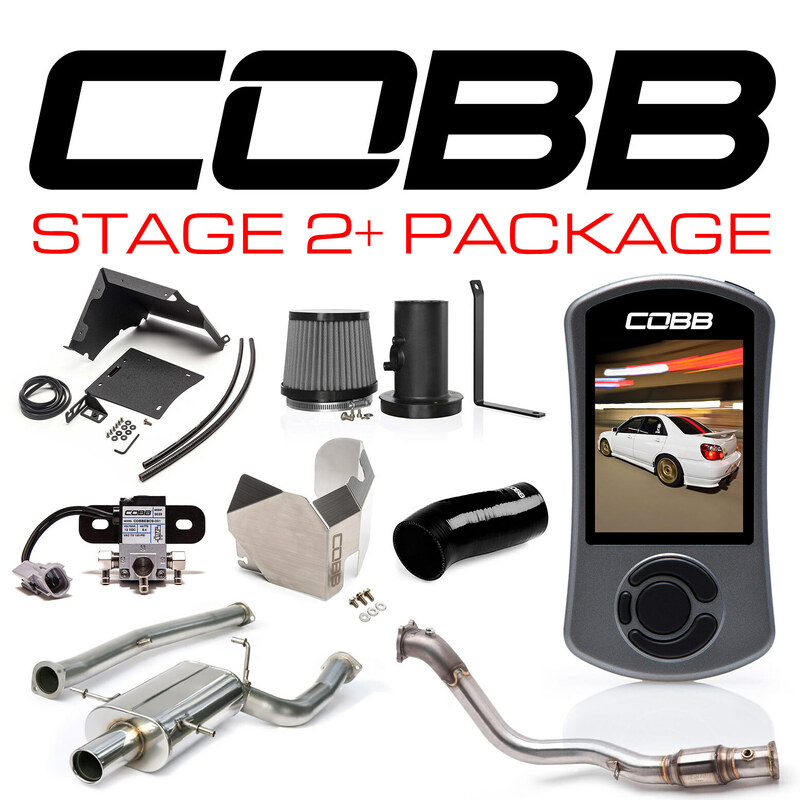 Subaru Flex Fuel and COBB Custom Features are compatible with the V3 Accessport only. Luckily, we have a pretty awesome Trade-In Program that offers up to 50% off a V3 Accessport!! With the new COBB Custom Features ECU you can utilize the Flex Fuel feature on a Speed Density tune! Any news about ’15-16 WRX Flexfuel? Hey Marc, no news quite yet! We’re still investigating any potential issues that may arise when utilizing high ethanol blends on the DIT cars. I’ve been using E85 almost exclusively for about 6 months with no issues. I did replace the fuel pump with a DW300C. I don’t know about higher than E85 though, if that’s what you are talking about. Race fuel? I was actually referring to E85, so that’s great to hear that you haven’t had any issues. We’ve seen many fuel pump failures in as few as 5 tanks of straight E85. Do you use any additives? Do you go back and forth from E85 to regular pump fuel? any update on 2004 to 2007 sti? Flex Fuel for GD STi vehicles will come after our DIT WRX release. Best guess would be a late Fall/early Winter release. You’re not currently planning to release an OTS map for the WRX? That’s a huge oversight in my opinion. When you release the STi OTS maps will WRX owners be able to build their own map using ATR? As in without the use of a protuner. There are may things to consider when created OTS calibrations, atop the list is making sure they are safe for the car. With the WRX we have to keep things like the factory intercooler and clutch in mind as they do not provide the same headroom as their STI counterparts. I’m certain we will be looking into Flex Fuel OTS maps for the WRX eventually, it will just require additional R&D time. Hi. I have two questions. First, I am wondering if 04 STi support is planned? From what I’ve read about the ROM, there is not much of any room to add features (I also don’t know what you already have for 04, but speed density, launch control, and flex fuel are mainly what I am interesting in; also map switching). Second, if using flex fuel with an accessport, is it required to use the Cobb ECA and signal converter, or can others be used? Hey Isaac! We have not yet reached a final decision regarding Flex Fuel support for the 2004 STi. As you say, we’re already nearing the capacity of that ECU so additional features would be tough if possible. We’ll be diving into the GD STi Flex Fuel project once DIT WRX is completed and will hopefully have a bit more insight once that is up and going. Using our Flex Fuel Sensor Kit is not required to utilize Flex Fuel functionality. The inputs are adjustable and can accept most options currently available. Awesome, thanks for the clarification. I am one vote to try and squeeze FF into the ’04 ROM! Any update on the Stage 3 FF OTS maps? Looking forward to a flex fuel system to add to my hybrid built 2004 WRX Wagon. Come on fellas… I’m sure the sales would be there for you. I went to go add the Stage 3 FF package to my cart and was about to buy but I went to double check the Map for the stage 3 FF and didn’t see it in the list.. I REALLY want to buy the kit and install asap but if there isn’t a map then I guess ill wait. I saw in the blog that you mentioned that Cobb would have the Stage 3 FF map ready by Feb or sooner but its already April. Any ETA? Sorry for the long delay! We’re still working on the OTS maps. The parts MAY end up requiring custom tuning afterall. We’ll have more details up as they become available. Stay tuned..
sorry for my monthly pestering, is it for certain that the stage 3 +FF map not going to be an option and to just get a protune? also how can I get the accessport gauge meter for the ethanol final measurement? I updated my accessport and don’t see that gauge option listed. No worries for the pestering. We’ve had a bit of a change in plans from our initial release and I understand it’s probably been a bit frustrating to keep track of. At this point, we will not be offering Stage3+FF OTS maps for the STI so having the car Protuned would be the only option. 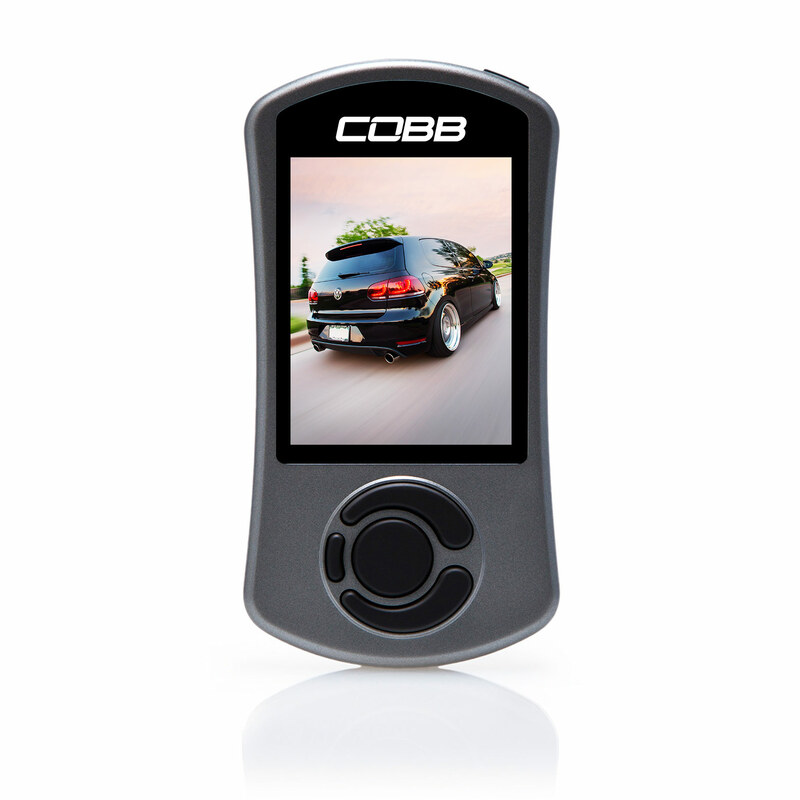 In order to activate the Ethanol Content monitor the car will have to be running with COBB Custom Features enabled which would occur during the Protune. Any news of this coming to 4th gen LGT’s yet? No updates for the Legacy folks quite yet. We’re still planning to investigate support once GD WRX/STI Flex Fuel is completed. We’re making progress! Hoping to have an accurate ETA in the next few weeks as we continue to test on internal cars. Will your GD effort include 04-08FXT specifically the 4eat cars? Hey Keith, our current GD Flex Fuel project does not include the Forester XT. We plan to investigate Legacy GT and Forester XT down the line. So whats the ETA on the GDB STi? 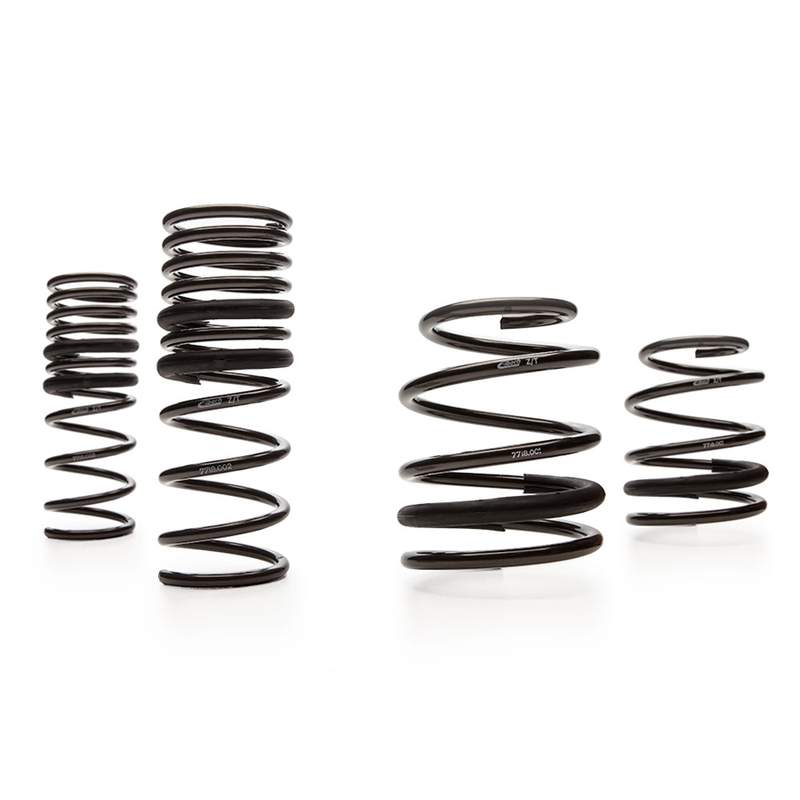 We are currently targeting the end of April. Will this be a plug and play solution with a canned tune for Stage 1 and 2 cars requiring larger injectors and higher flowing fuel pump or would this possibly open up stage 3 for the GDB STi? We do not currently plan to offer a Flex Fuel OTS map for any of the GD cars. That can definitely change if enough demand is seen. When will the 06-07 sti get flex fuel? I want to have it for my high hp sti running ID2000 injectors. Hey Eric! We are currently trending towards a release in the next couple of weeks. 2006-2007 STI will definitely be included in the initial GD Flex Fuel release. any flex fuel kit update on forester SG platform?? Nothing new on the Forester Flex Fuel front, sorry! Any updates on Legacy GT/outback XT Flex kit? I want it now!!! 2018?? Definitely getting closer! We are finalizing layout/design of the fuel components and should be moving into calibration testing in June.